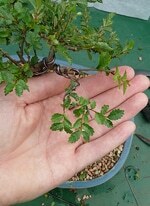 The small glossy green serrated leaves on these trees make them ideal as bonsai, their readiness to produce masses of new shoots after pruning make them perfect for creating cloud like foliage pads, and they can be easily trained by the novice or experienced grower to produce beautiful trees in a short period of time. The roots, if grown from seed, usually can be trained to twist and turn around each other creating a powerful base and a great feature in any style. The bark can vary from a less attractive smooth gray, to a thick cork like appearance, which gives the tree a much more aged look. 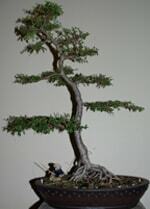 Probably the toughest part of caring for Chinese elm bonsai is keeping them pruned to a compact shape, because they respond so well to being pruned by producing masses of new shoots, you have to be vigilant to pinch back or rub out unwanted growth before it gets out of shape again. Although these trees can handle full sun, I have found the ideal positioning is semi shade. This helps avoid the soil drying out too quickly. 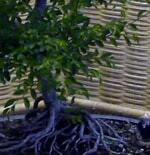 The roots are quite fleshy and if let dry out will very quickly kill off parts or all of your tree. Keep moist but not wet to avoid root rot especially after leaf fall. Fertilize fortnightly in the growing season with an organic fertilizer. It is best to re-pot yearly just before the new spring buds begin to burst. Regular pruning and rubbing out of unwanted growth is the main job with this style. Check between leaves for pests and signs of mildew. 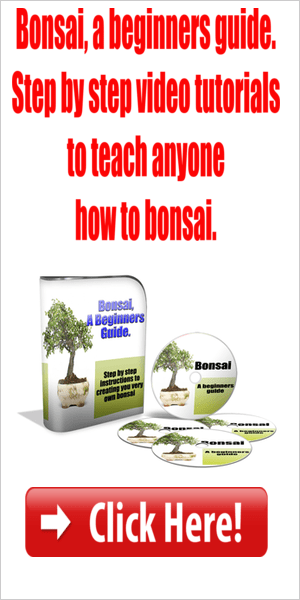 Just about everything likes these trees, aphids, scale, caterpillars and even spider mites will make themselves comfortable between the leaves of Chinese Elm bonsai. It is best to use white oil, pyrethrum or other natural pesticide directly on the affected areas, it is best to avoid systemic insecticides and fungicides as these can cause defoliation. Keep foliage thinned out enough to allow for good air flow. Keep old dead leaves cleaned out to avoid pests making themselves at home between them.